Art may be dropped off at Building Healthy Families or the Josephy Center for Art starting Monday April 1st. All art must be received by Wednesday April 17th. We will no longer accept Art the day before the event! 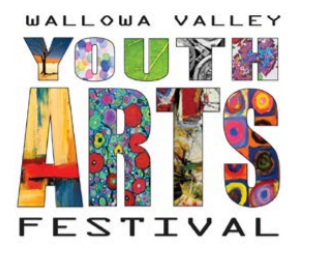 The Youth Art Show will hang for 10 days. Art will be available for pick up Wednesday May 1st. Students in grades k-6th may enter 1 piece of Art. Students in grades 7th-12th may submit up to 3 pieces of art. All 2-dimensional artwork must be mounted on sturdy board and/or matted and ready-to-hang. Adhesive hangers are available at your school office, Building Healthy Families & the Josephy Center. Categories will be combined and judged for each age group. Each age group will receive 1st , 2nd, 3rd Place and Participation ribbons. All entrants will receive a ribbon. People’s Choice, Judge’s Choice and Director’s Choice will receive special recognition. We encourage the sale of work (not required) – 100% of the sale price will be for the artist to keep. If you have any questions please call Maria Weer at 426-9411. Priority will be given for 1 piece per K-6th students, and 3 pieces for students in grades 7-12. For printable form, click here.